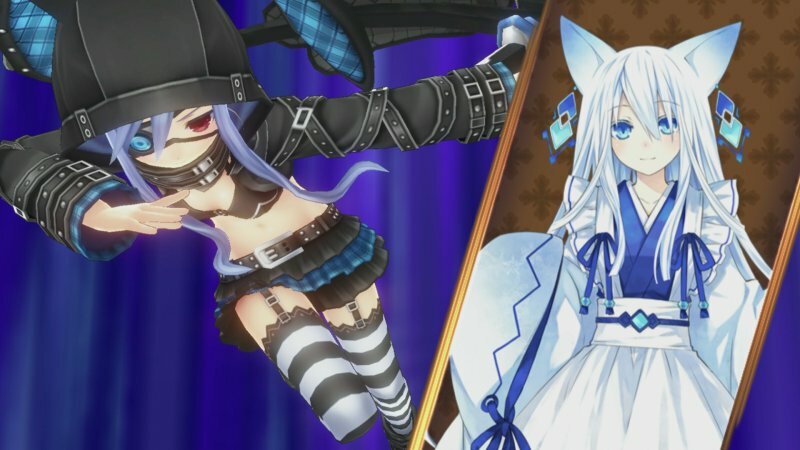 Fairy Fencer F is the first RPG from Compile Heart’s Galapagos RPG brand, which was created for the development of RPGs specifically aimed to cater at Japanese tastes. 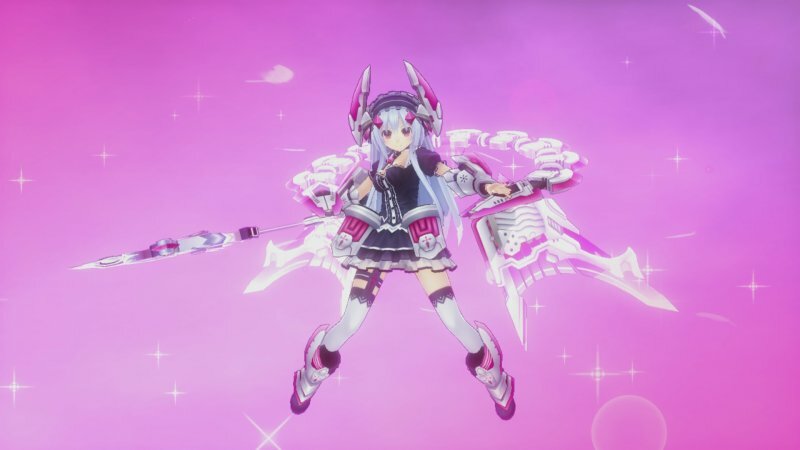 This might seem a bit strange as the majority of the previous Compile Heart/Idea Factory RPG’s I’ve played have been distinctively Japanese in both their appearance and gameplay. But regardless of whatever the developer’s intensions were with this title, what will likely attract most people is the talent attached to the project. 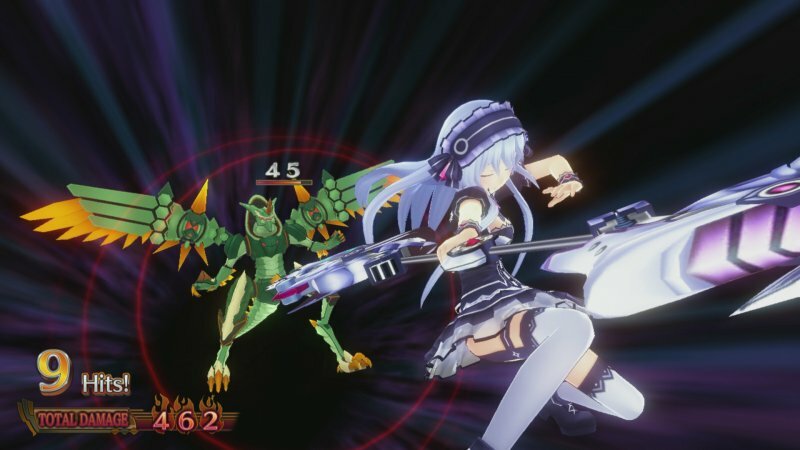 Joining some of the Hyperdimension Neptunia team are Yoshitaka Amano, Nobuo Uematsu, and Toshiki Inoue (screenwriter for the Death Note anime), and they have come together to create a fantasy RPG that tells a familiar tale of the battle between a goddess and an evil god with a few unique twists. 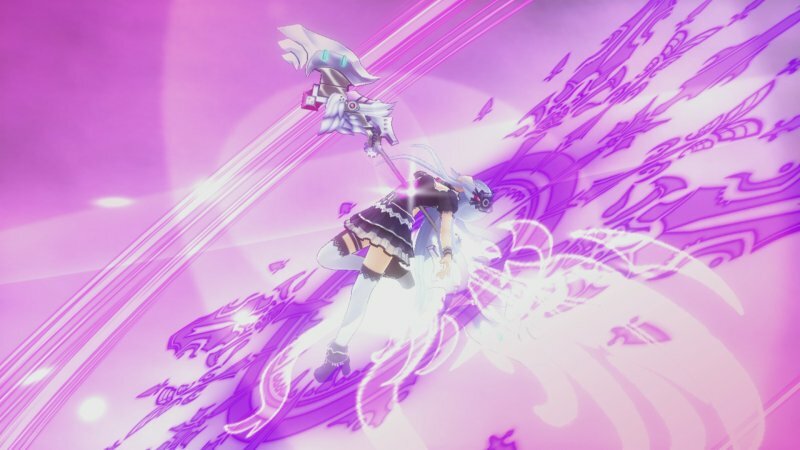 Though Compile Heart’s previous games for Playstation 3 have been met with mixed reception, with the talent involved in this one have they produced a title that is one of the better in the genre? The game begins by telling players that a long time ago there was a struggle between the Goddess and the Vile God. Similar to the good/evil conflict in many JRPGs, the Goddess was trying to bring peace to the world while the Vile God was set on its destruction. The two fought using special weapons that had different powers, but over time the powers sealed each other and the Goddess and Vile God disappeared from the world. 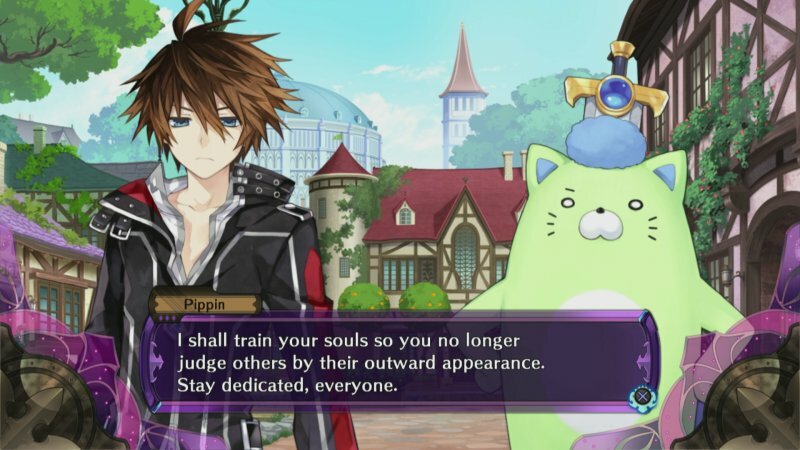 Flash forward to the present and you meet Fang, the hero of Fairy Fencer F. He’s not your typical hero, as he’s fairly lazy and easygoing and is motivated by food rather than a desire for fame or saving the world. 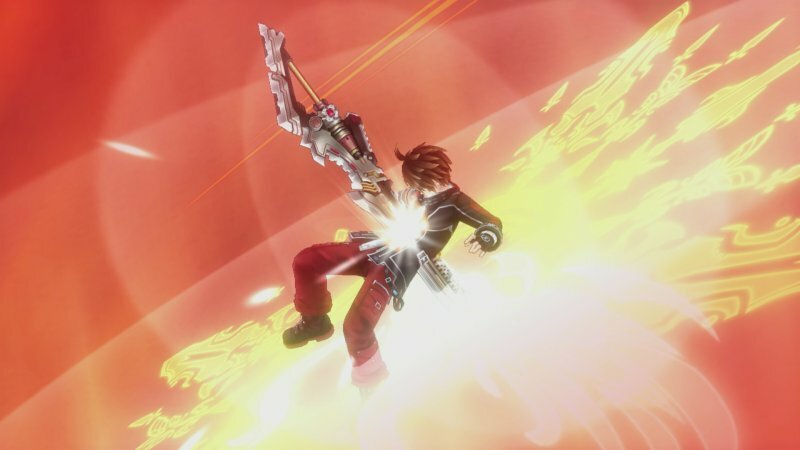 Fang pulls a sword out of the ground that has been there for some time, and discovers it is actually a Fury, or the remnant of one of the special weapons. Furies are collected by Fencers, who use them for their power, and the weapons are given their powers by fairies. The fairy that Fang meets is named Eryn, who has lost all of her memories and she convinces him to become her partner and collect additional Furies to help her try and regain what has been lost. 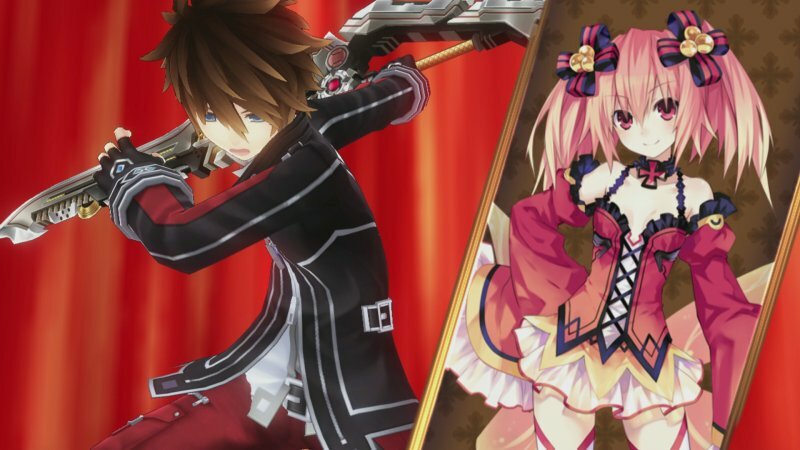 While the good/evil conflict may suggest a darker storyline, early on the tone of Fairy Fencer F is lighthearted. Eryn discovers that Fang isn’t quite the dashing hero she had hoped to partner with, and the exchanges between the two are quite humorous. After exploring a nearby area the two meet Tiara, another fencer who is trying to collect Furies in order to revive the Goddess and restore peace to the world. Though she has these pure intentions, her personality is that of a spoiled rich girl and she treats Fang and Eryn like her servants. She’s also a bit of a tsundere, and this immediately gives the game a similar feel to some of the more recent anime out there. 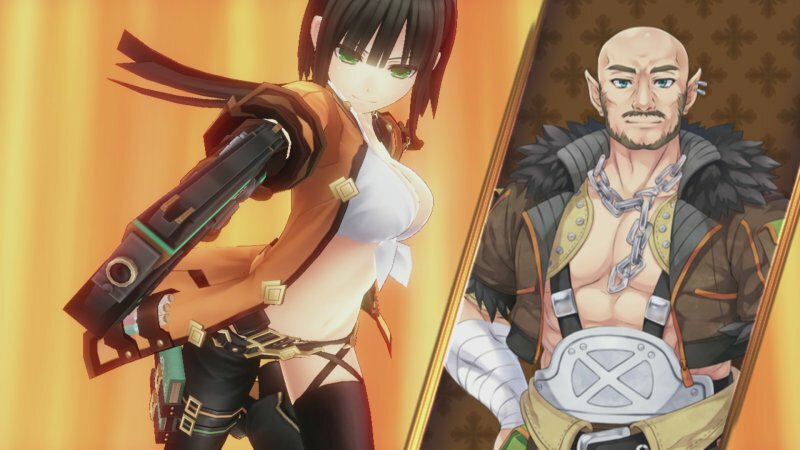 For the first couple of hours the three main character spend just as much time berating each other as they do trying to collect Furies and learn more about the Goddess, and I found this to be a refreshing change of pace from some of the other RPG’s. 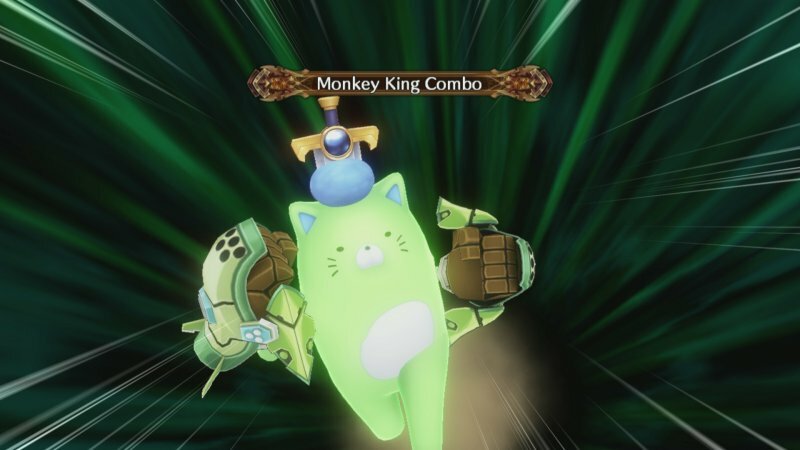 The cast expands significantly over the course of the game, keeping the lighthearted feel during many story sequences and optional scenes that can be seen in town after specific dungeons. The next addition to the cast is Harley, a fairy researcher who is determined to “examine” Eryn and has a habit of getting so absorbed in her research that she disregards her appearance. 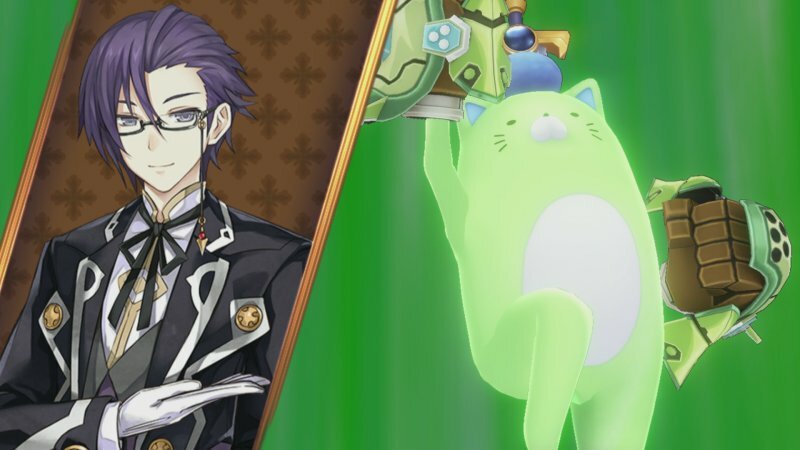 Other additions to the main cast include the outgoing Galdo who converts over from the enemy side, the suave and extremely laid back Sherman, and Pippin, who looks like a giant stuffed animal. Each of these characters also has a fairy with a distinctive personality. Later in the game there are even more additions to the cast, but revealing who they are might spoil the storyline. Additionally, there are also two secret characters that can only be unlocked under certain conditions, ensuring that players have a lot of options when it comes to combat and also have plenty of story sequences to watch. 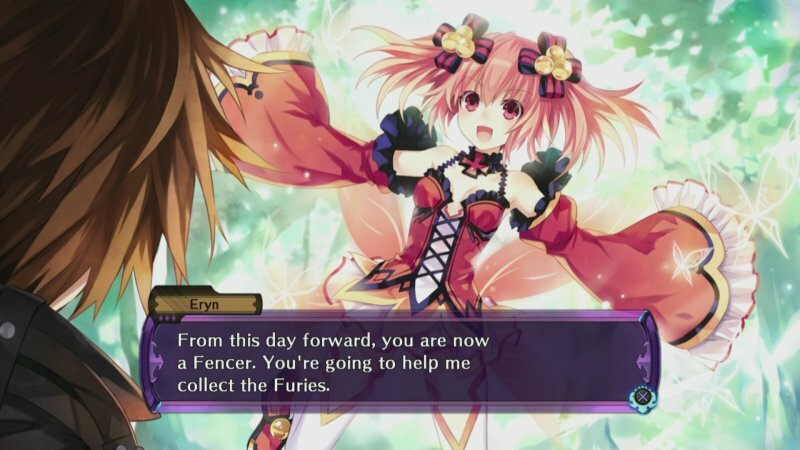 Fairy Fencer F’s plot heads in a familiar direction, as the party sets out to different locations to collect Furies and figure out both how to revive the Goddess and get Eryn’s memories back. Along the way the Dorfa Corporation intervenes, and it’s revealed that the powerful conglomerate is actually attempting to revive the Vile God and plunge the world into destruction. 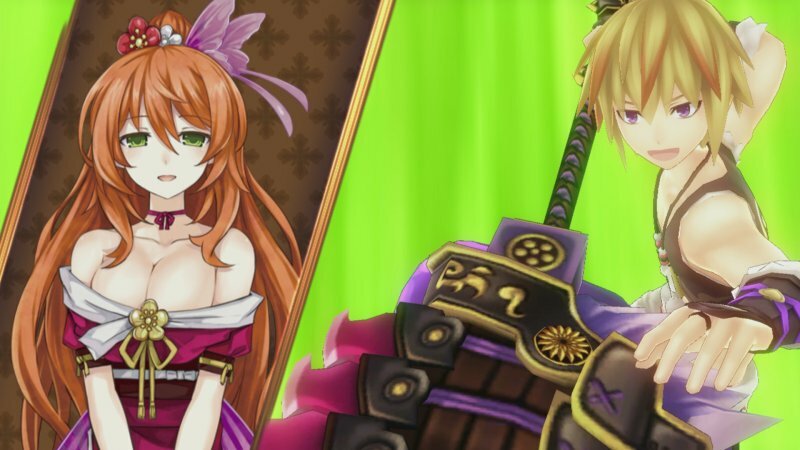 This probably sounds like a whole slew of other JRPG’s that you have played in the past, but there are two elements that make Fairy Fencer F feel less generic and it’s why I enjoyed the story more than I was expecting. First, the amount of interaction between the cast members and the lighthearted moments make a big difference. In between every dungeon there are optional story scenes back in the main town, and they add a quirkier side to the narrative. The party has a tendency to make fun of each other, and Fang usually gets the brunt of this due to his lackadaisical attitude. These aren’t silent, brooding heroes trying to save the world; instead they seem more like ordinary people who happen to have fairy companions that give them special abilities. Chances are each player will find a few characters they like the best, but I liked Fang and Harley the best as they were so casual in all of their interactions. The other element of the plot that left an impression on me was the sense of morality. In between the fluff, the game heads into some heavier territory and as players fight the Dorfa Corporation they encounter villains that like to fight villagers to the death and commit other heinous acts. 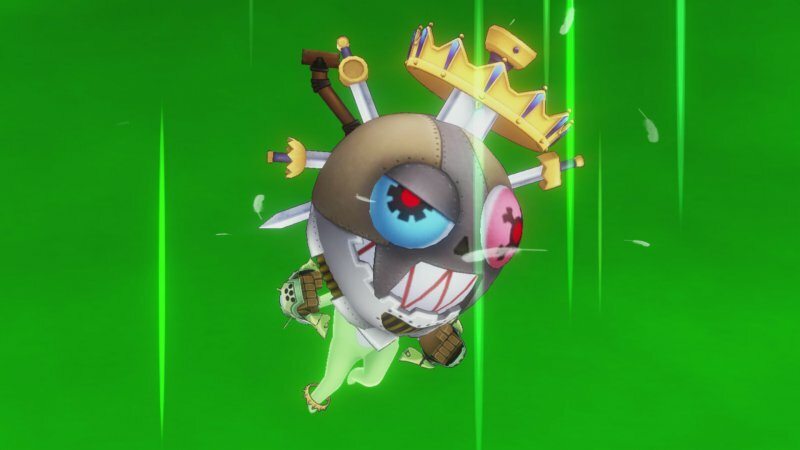 Initially Fang goes all gung ho and tries to take them out, but as you progress further in the game he begins to question if killing these villains is the right thing to do. So many RPG’s make the enemies out to just be faceless evil, and it has been a while since I played through one that actually had the heroes questioning if the path they were taking was truly the right one and if it was okay to just kill the enemies after winning in battle. It made the story more interesting in my opinion, and the combination of more serious moments like this with the lighthearted elements worked extremely well. 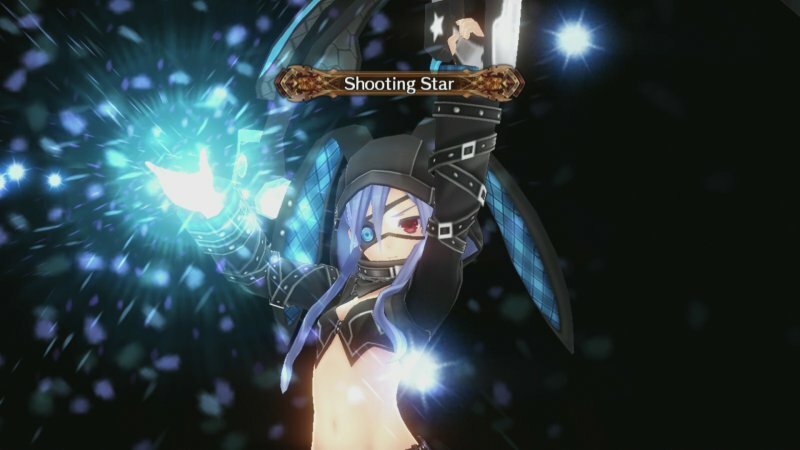 If you’ve played Hyperdimension Neptunia Mk2 or Victory the gameplay in Fairy Fencer F is going to feel just a bit too familiar, because aside from a few key differences it feels like a massive reskin. The one town in the game has a similar set of menus, letting you go to several locations for required or optional story scenes, take on various monster extermination/item fetch quests at the pub, and buy/synthesize items at the shop. 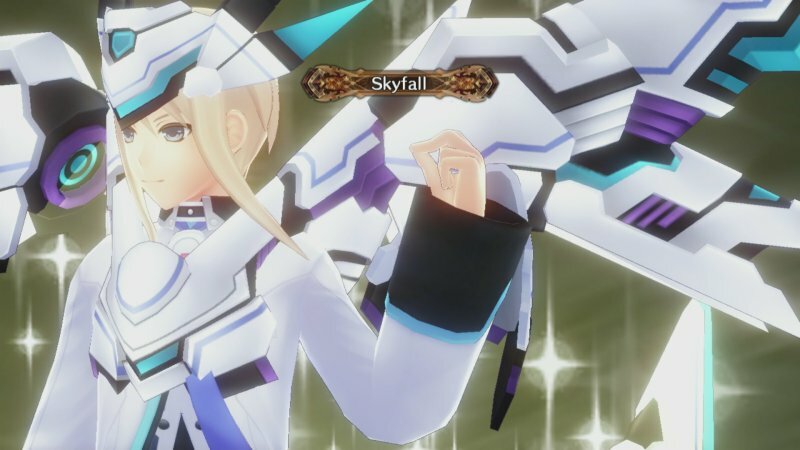 It all fits the context of the game, and it is useful to synthesize items and make extra money by taking on quests, but you’ve done it all before in the exact same fashion in the Neptunia games. 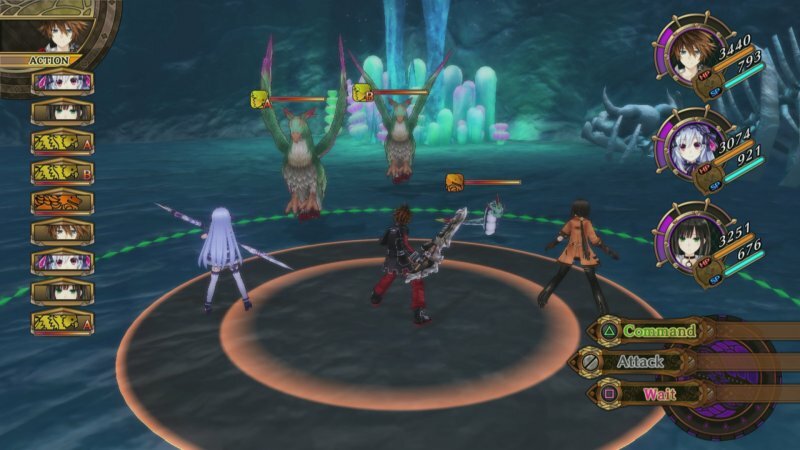 Given the fact that the Galapagos team seemed like they were trying to create more of a fantasy epic than a pure moe fest, I find it disappointing that they didn’t try to recapture the flair of some of the older RPG conventions and add in things like explorable towns or quests that had story elements instead of glorified fetch quests. There is a lot to do though, and if you’re interested in grinding and grabbing every rare item in the dungeons this is definitely the game for you. When you’re not back in town advancing the story or grabbing new quests/items, there are plenty of dungeons to explore. The game moves along by having you pay money to an informant in town to scout potential locations that Furies have been spotted at, and once you’ve done this a question mark appears on the World Map. Dungeons are discovered by doing what’s called World Shaping, where you stab a Fury into the ground to reveal it. 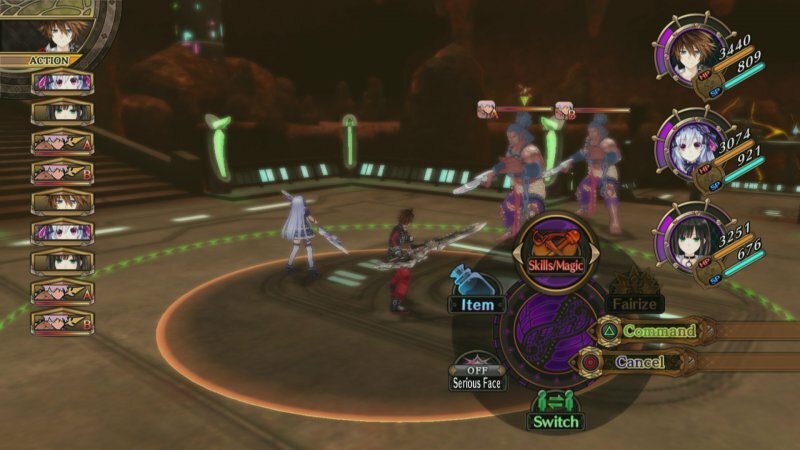 Using different Furies has an impact on the dungeon itself, and there are status effects ranging from increased experience and a restriction on healing items as well as the chance at fighting entirely different monsters. It’s an interesting feature for those that enjoy the grind and want to nab every rare item in the game, and does encourage players to explore these areas quite a few times. In town there’s also the opportunity to do Goddess/Vile God Revival. 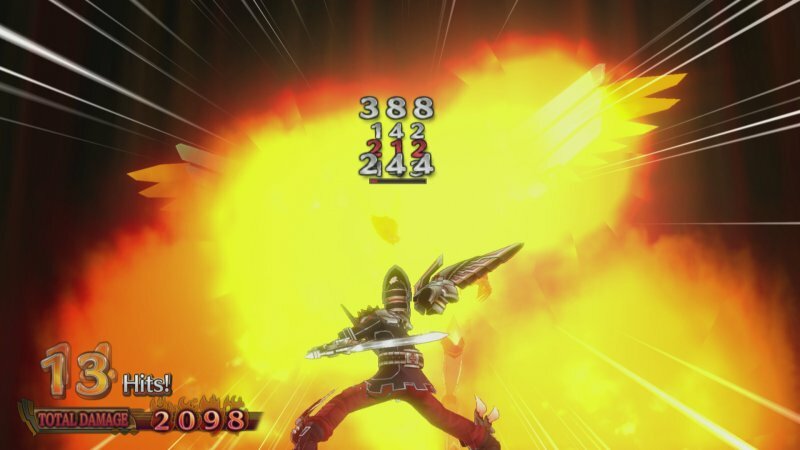 Tiara can pull the players into a place frozen in time, and using Furies you have collected it is possible to pull swords out of either one to try and revive them. 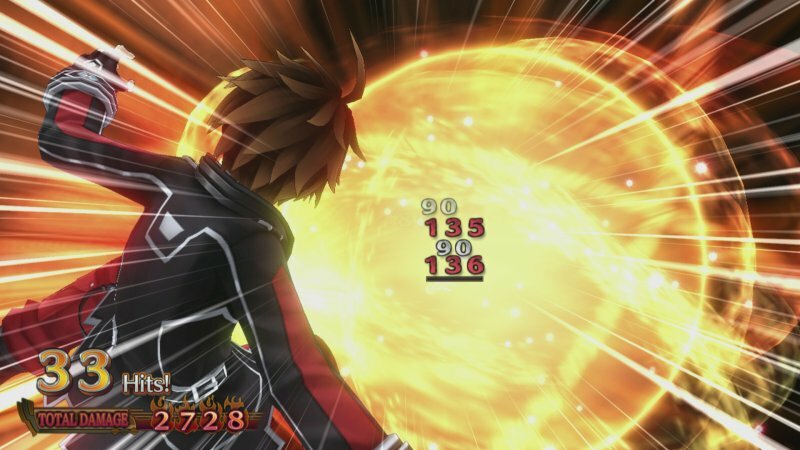 Doing so triggers a battle, and once you win the Fury you used for revival will gain additional skills. 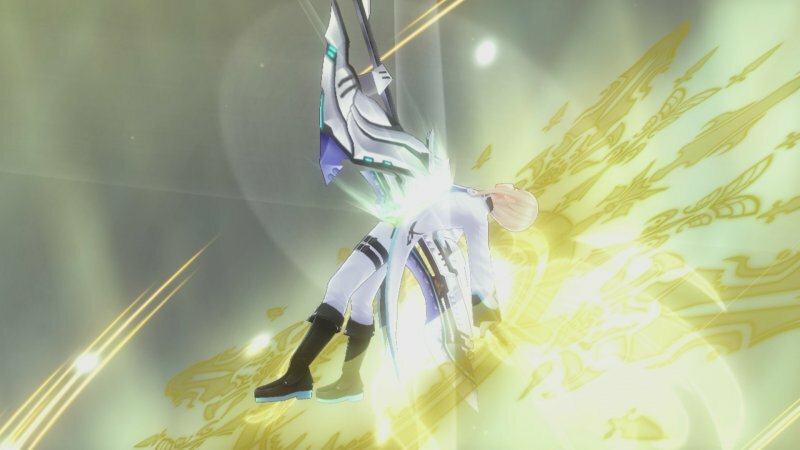 Though you’re technically trying to revive the Goddess, it is possible to pull swords from the Vile God, much to the horror of your fellow party members. Each of the dungeons is split into several screens, and you spend your time exploring them and looking for an icon that signals the next story scene. 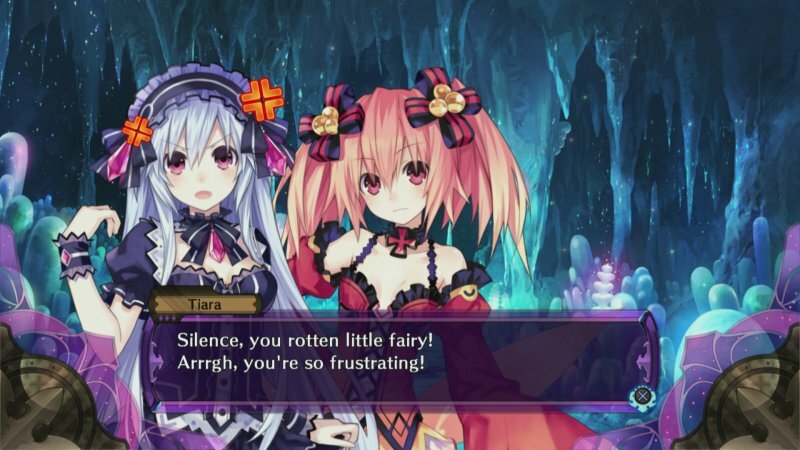 The dungeons are another area where Fairy Fencer F could have distinguished itself from the Neptunia series by introducing puzzles or making more complicated layouts, but it chooses to rehash the same basic designs. Each area is basically a giant room filled with monsters and the occasional item, and aside from a few sections where you have to do some light platforming to progress there is very little interaction with the environment. Character upgrades do grant the ability to hunt for treasure and find secret items, and it is nice to not have random battles so you can dodge enemies if you wish, but it just doesn’t feel like there is enough to do in each area except move from point A to point B. 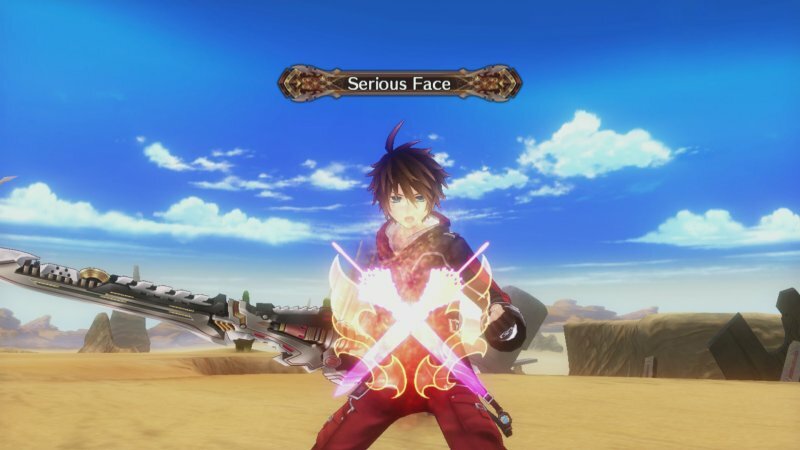 The majority of your time in Fairy Fencer F will be spent in battles, so thankfully the battle system is a lot of fun. 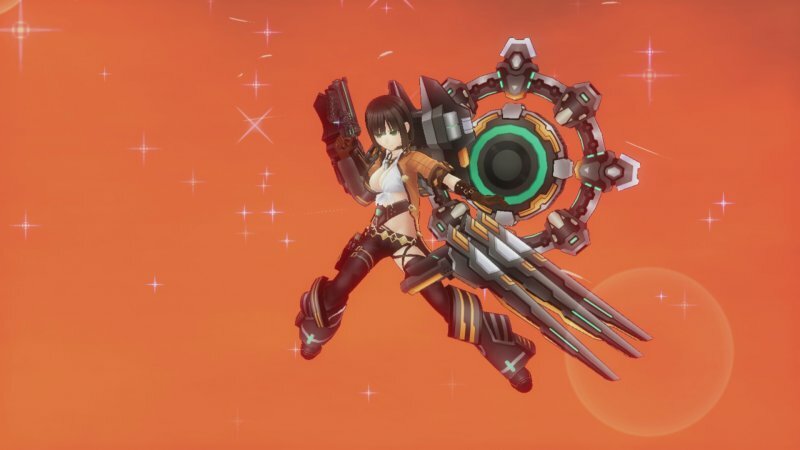 It’s essentially a modified version of the Hyperdimension Neptunia system, so those of you who have played any of the games in that series will be able to jump right in. For the uninitiated, battles are turn based but you can move your characters around a limited range and then choose an action. If you come into the range of an enemy you can attack them, or skip your turn and wait for them to move in closer. 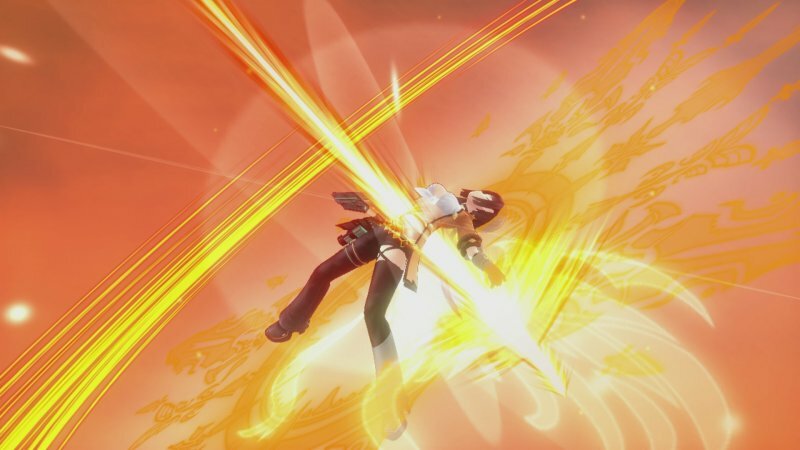 The key difference from Neptunia is that you don’t get combos right from the start. Each character starts off with a basic normal attack, and you must upgrade them using points gained from battle to unlock additional combo slots. This is something you’re going to want to do as soon as possible, because you’re wasting the chance to do a significant amount of damage to every enemy without it. 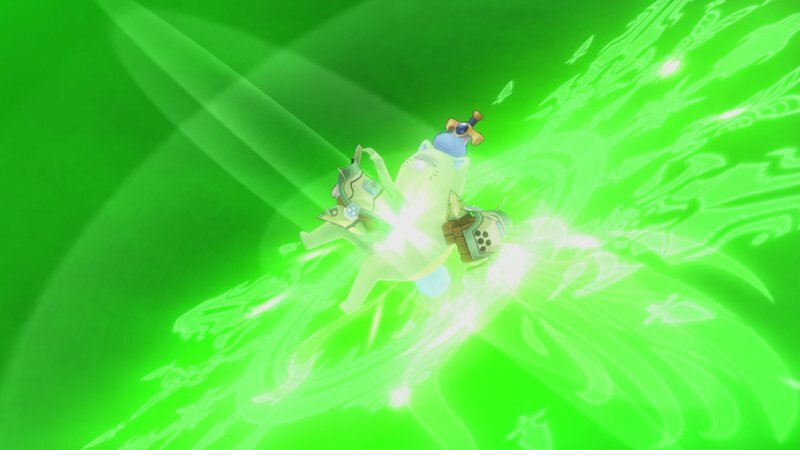 There are plenty of magic spells and special abilities to unlock per character, and each one has a different element that they can control. One nice feature is that if a particular character is near depth, you can choose to withdraw them from the battle and swap them out for someone else, though this will only be useful if you’ve been choosing to level up the majority of the cast. 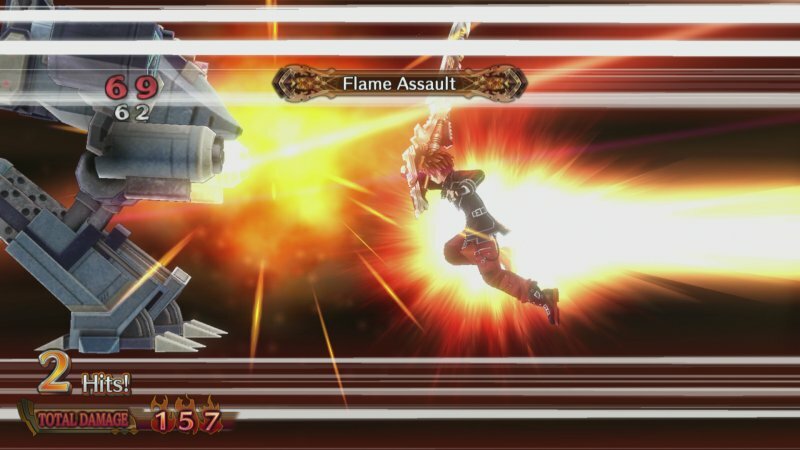 As players attack enemies they gain action points, and when the gauge reaches a certain level characters can Fairize. 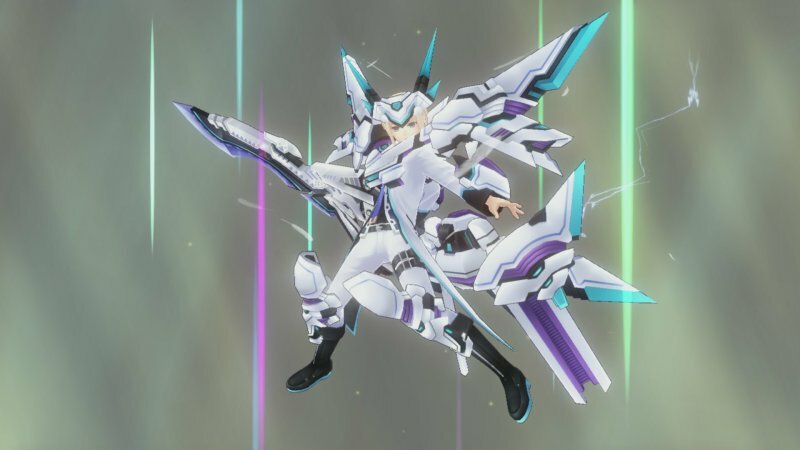 This makes them use the power of the Furies and transform into what resembles a cross between a super hero costume and a mech. 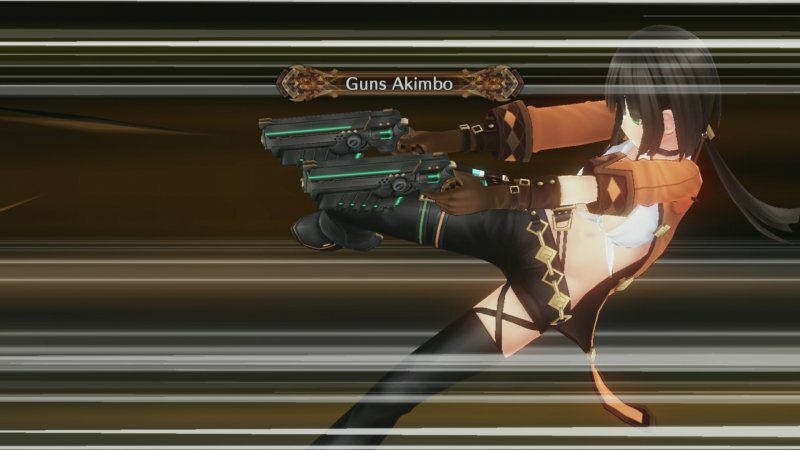 Attack power is significantly increased in this state and characters can use additional skills. It also has a tendency to make the battles just a bit too easy, as it takes only a turn or two before you can transform. This is nice for players who want to skip the optional bits and tackle the main story though, as I went into most of the boss fights without grinding and was able to beat them with some strategic healing and quite a bit of transformed attacks. 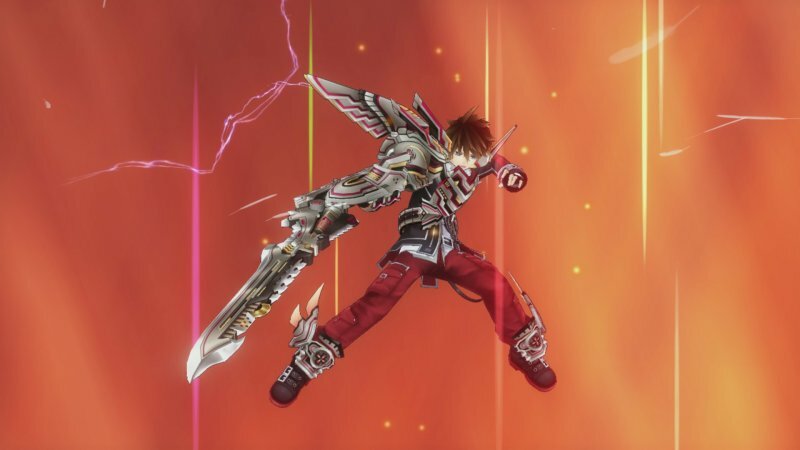 Depending on how you choose to play it Fairy Fencer F won’t be nearly as hard as some of the other Playstation 3 RPG’s out there, which could be appealing to a certain subset of gamers. Even though it’s easy to become overpowered, I found the battle system was a lot of fun. The game presents players with plenty of options, and you can tweak just about everything. 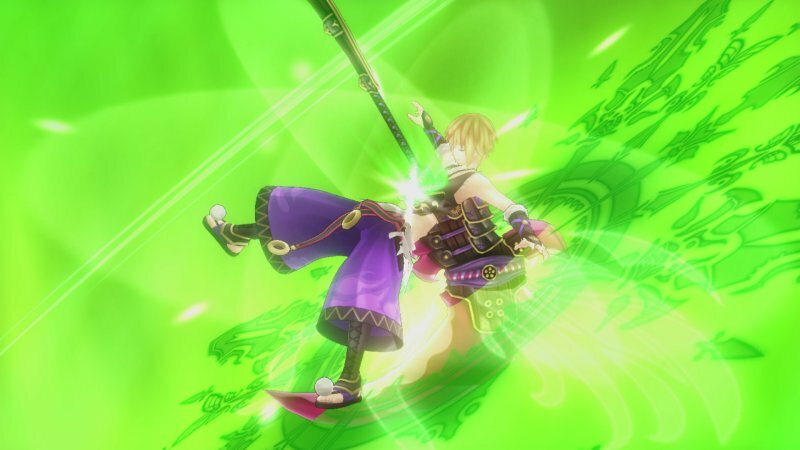 Characters gain experience and skill points with each fight, which can be used to unlock new combo attacks, up stats like defense and attack and unlock new spells and skills. Once you have two or three combo slots you can also use a Combo Edit function, which lets you pick out different attacks to chain together. 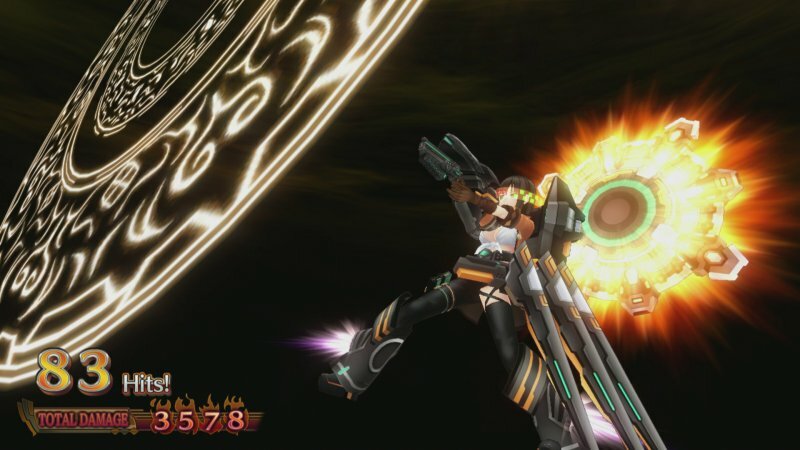 Each one physically transforms your Fury into a different weapon, so they have a characteristic like gun or scythe. Enemies are weak to certain attacks, and if you can figure out their weaknesses you open up the chance for an Avalanche Attack. This feels like it was ripped right out of Persona 4, as it lets your party gang up on the enemy and hit them with some extra attacks. All of the Furies collected can also be equipped, and they level up as well, providing new abilities and stat adjustments. Every character also has challenges, which range from winning battles without taking damage to running around the dungeons as the party leader, and completing these unlocks additional stat bonuses like increased health or agility. 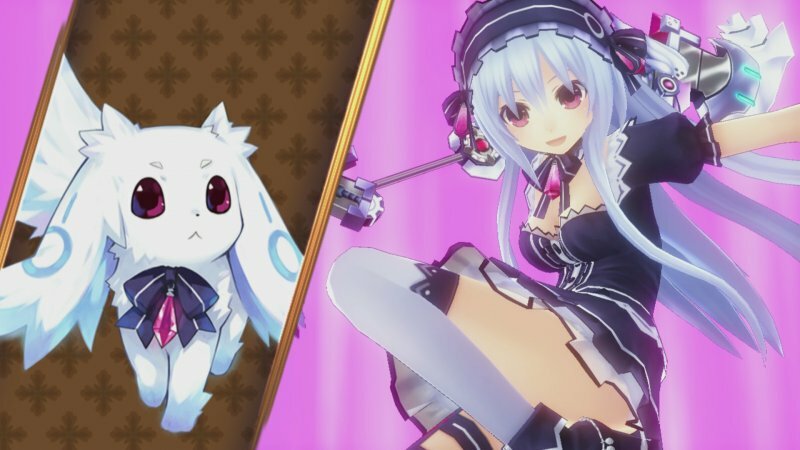 As you can see, when it comes to the game side of Fairy Fencer F there is plenty to do, and it does a good job of introducing all of these different elements to the player without overwhelming them. But once again, to get the most out of the content you’re going to have to spend a considerable amount of time grinding through the same dungeons which leads to repetition. Additionally, halfway through the game a specific event happens that forces you to replay all of the dungeons you beat all over again without making any changes to their layout. Combine this with the fact that some of the dungeons near the end are basically reskins of the earlier locations, and it starts to become a bit tiring. Eventually I found myself playing because the cast was endearing and I wanted to see what the next story scene had to offer rather than for the gameplay itself, and the repetitive dungeons really held this title back from being a truly special JRPG. 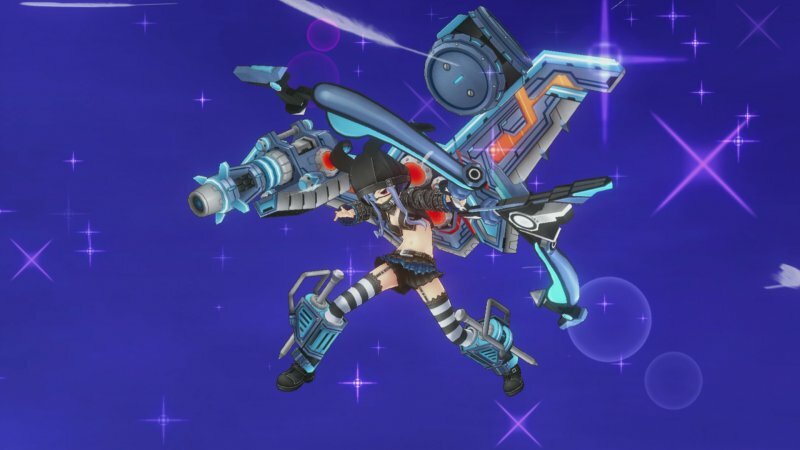 The Hyperdimension Neptunia games weren’t exactly graphical powerhouses, and the same can be said of Fairy Fencer F. Yoshitaka Amano has done a decent job with the concept art, as the art design covers up some of the technical shortcomings of the environments nicely. When you’re exploring a lava cave or mysterious tower the game does look decent, but the plainness of the graphics becomes most apparent in the desert environments. 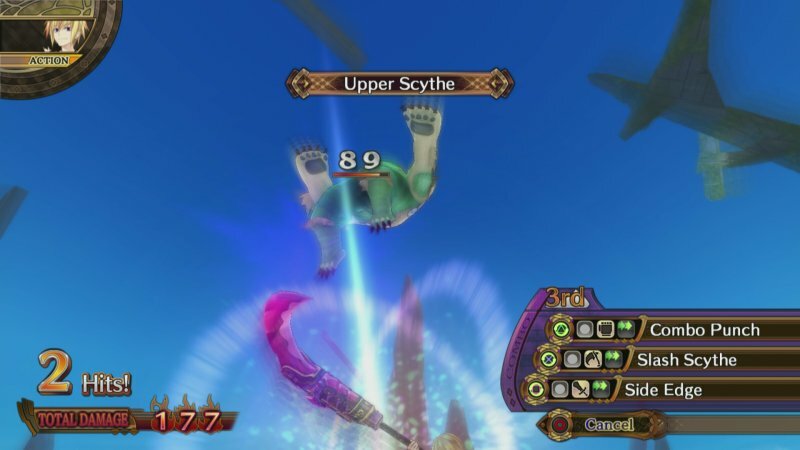 Sometimes it feels like a slightly upscaled Playstation 2 game rather than something that is really pushing the Playstation 3 hardware to its limits, and just like in the Neptunia series there are some occasional framerate drops when exploring the dungeons. 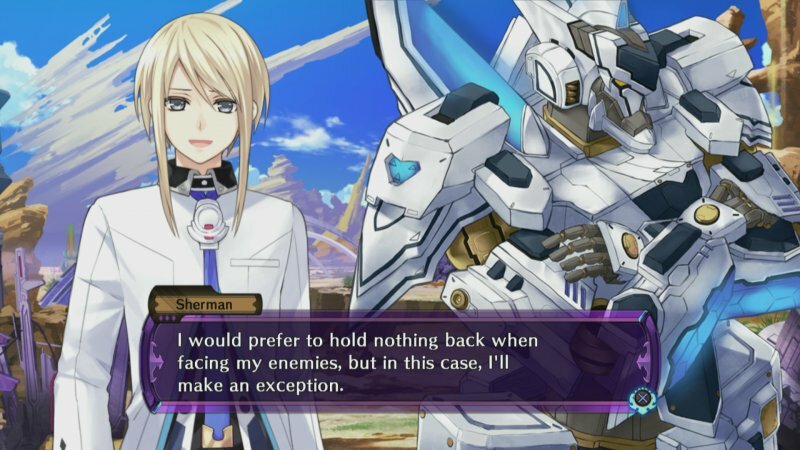 The game fares much better during story scenes, as it employs a visual novel style approach where animated character models appear onscreen with static backgrounds. I’ve always enjoyed this particular graphical style, and thought that it worked well here. Tsunako once again handled the character designs, so if you see a few characters that are extremely reminiscent of Neptunia that’s why. There’s nothing glaringly bad about the graphics, but the engine is showing its age and the developers are going to need to do a serious overhaul for the recently announced sequel. NIS America has once again provided players with dual audio, and you can switch at any time between the English dub and Japanese dub. I spent the majority of the game playing with Japanese voices as that is my preference, but turned the English audio on for about an hour or so and found that the voice cast did seem to be doing a competent job. There weren’t any amateurish sounding moments among the main cast, though I can’t be 100% sure since I didn’t play through the entire game dubbed. If you’re interested in the Japanese cast, you’ll find some familiar voices, as the majority of the cast has been in a slew of different anime. The cast did a great job, and the way they deliver their lines and interact with each other really brought these characters to life. Nobuo Uematsu’s contributions also make a strong impression, as he has written background music that adds that epic fantasy feel to the game and his music is well integrated. Expect to spend about 18-20 hours on the main story if you don’t grind too much, but that can double or even triple if you decide you want to pursue all the optional quests and items. There is a New Game + and secret characters, so if you don’t find the grinding and fetch quests too repetitive the amount of content is substantial. 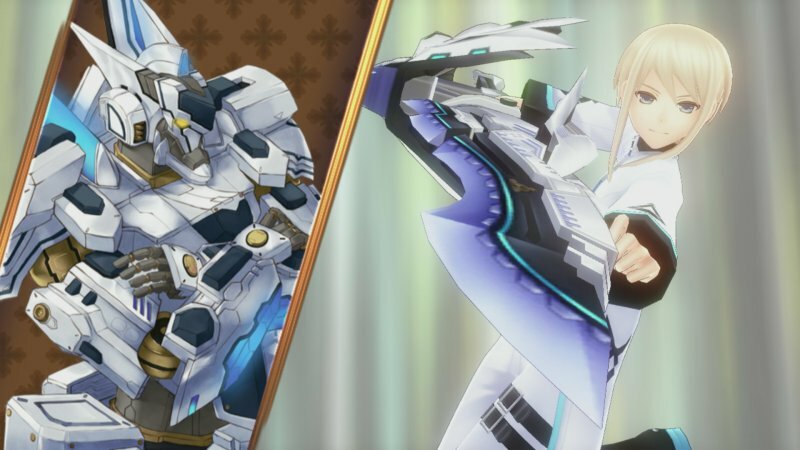 But despite the fact that I enjoyed spending time with the battle system and found the cast endearing, Fairy Fencer F never quite reaches that level of greatness that the best RPG’s are able to get to. 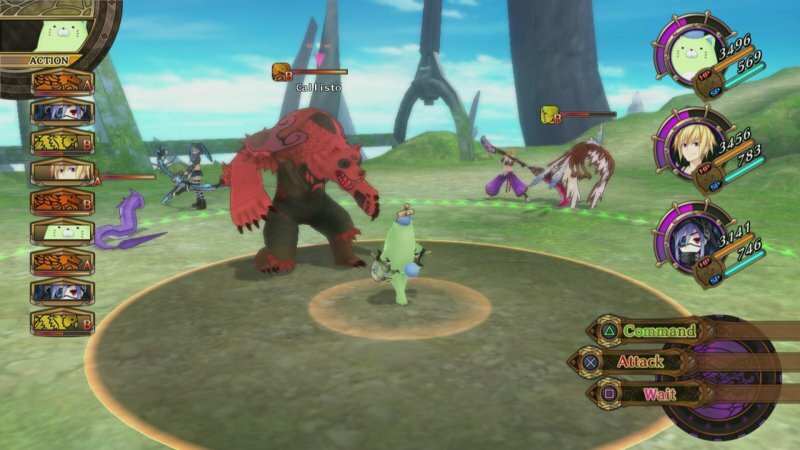 The repetitiveness of the dungeons and the fact that so many of the gameplay elements feel like mere reskins of previous Compile Heart RPG’s holds this one back from being one of the best the Playstation 3 has to offer. Given the amount of additional talent that was brought in for this one, I found myself wanting the developers to be just a bit more ambitious and to recapture some of the epic fantasy RPG elements of old, and this is where the game ultimately failed to fully live up to my expectations. 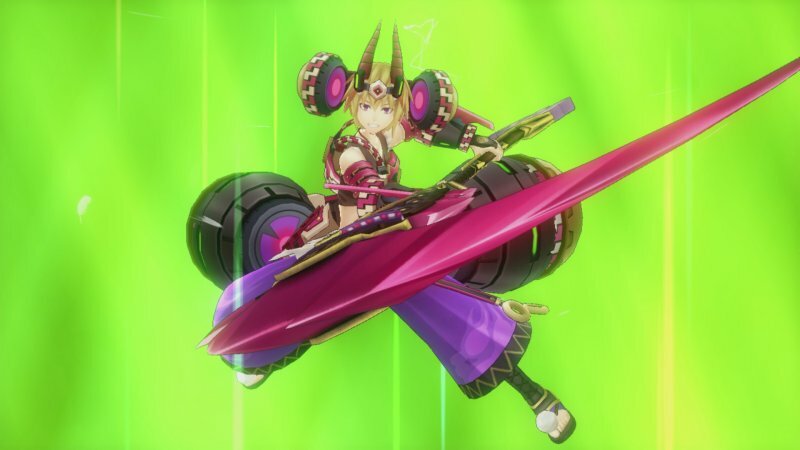 But at the same time, this is probably the most fun I’ve had with an RPG from this development team yet so I would still recommend it to fans of the genre, provided they realize the amount of grinding and repetition they’re getting themselves into. 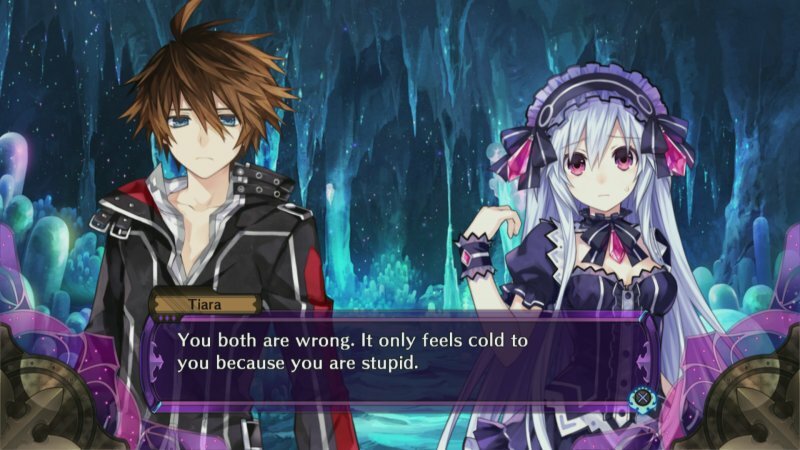 FAIRY FENCER F HITS NORTH AMERICA AND EUROPE THIS SEPTEMBER! 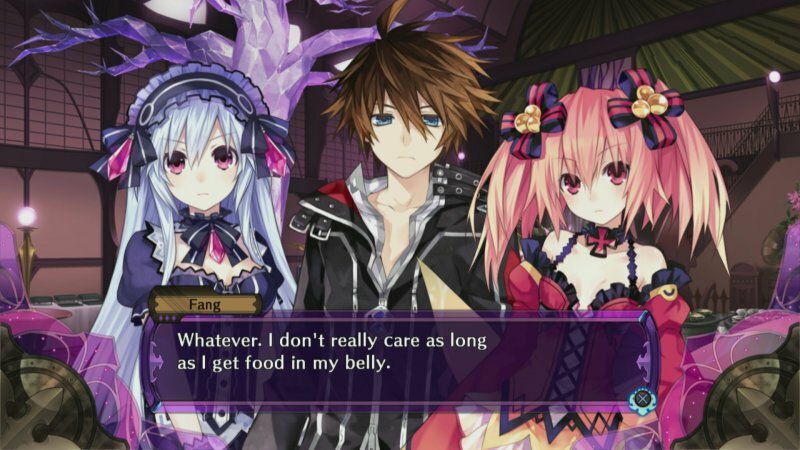 FAIRY FENCER F TO HIT NORTH AMERICA AND EUROPE THIS AUTUMN! 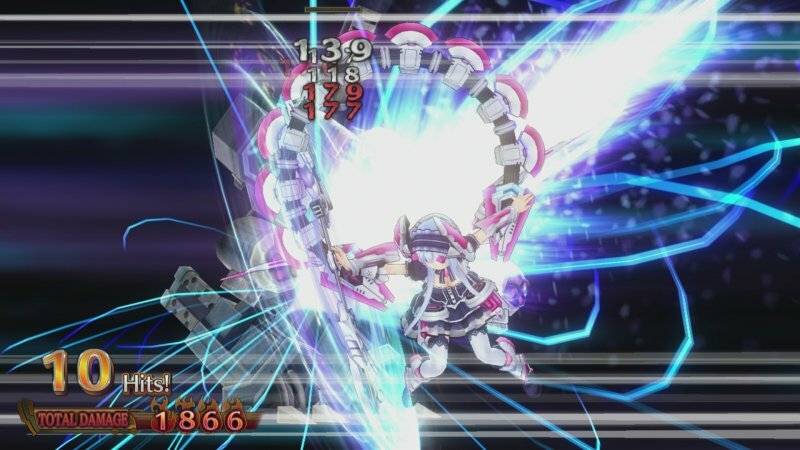 Hyperdimension Neptunia Victory coming to PSN in North America and Europe! 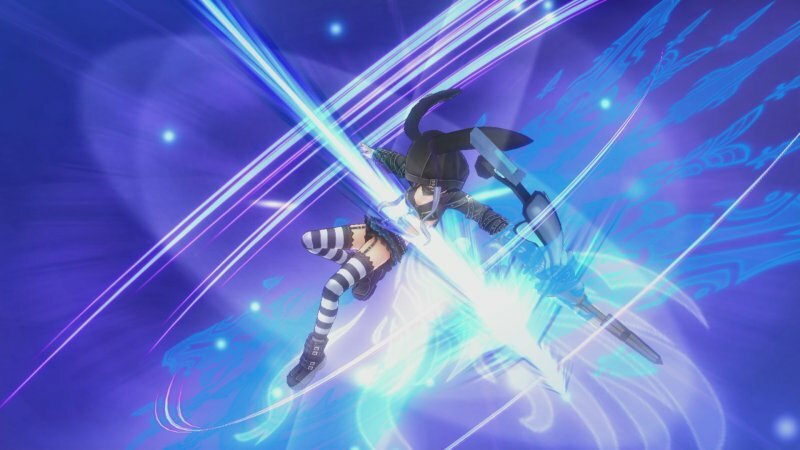 NIS America acquires Mugen Souls Z for Europe and North America!